The father of a 19-year-old Jordanian held in the United States on charges of plotting to bomb a skyscraper in downtown Dallas insisted Friday his son wasn't involved in the plot, calling the case against him "completely fabricated." 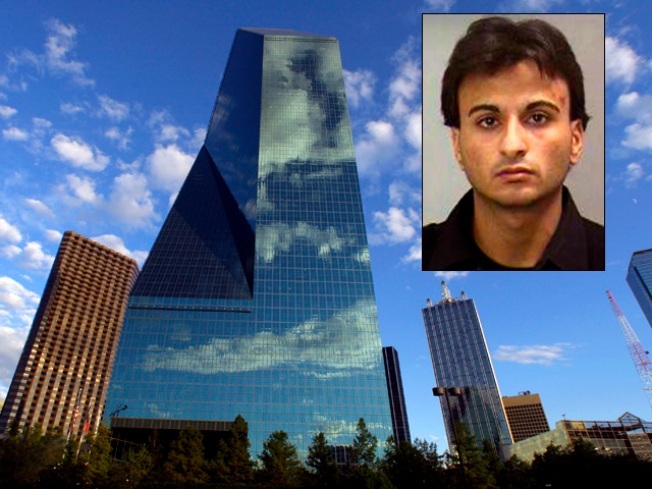 Hosam Smadi, 19, was arrested Thursday in Dallas after federal officials said he placed what he believed to be a car bomb in a parking garage beneath the 60-story Fountain Place office tower. The decoy device was given to him by an undercover FBI agent. Smadi has been charged with attempting to use a weapon of mass destruction. The teenager's father, Maher Hussein Smadi, who is from the northern Jordanian city of Ajloun, insisted his son was innocent and rejected the case against him. "The issue is completely fabricated and in our family we never condoned terrorism," he told The Associated Press. The father added that Smadi's brother Hussein, 18, has also been arrested, in California. He said the arrest was apparently related to Hosam's case, but could not elaborate. Both Hosam and Hussein were in the U.S. on student visas they received in 2007, their father said. departure, Jordan's Minister of State Nabil al-Sharif said. Al-Sharif added that Hosam Smadi was arrested and charged in 2004 with theft and homelessness at the age of 14, but could not provide further details. However, a judiciary official said Smadi was sentenced to 3 months in jail for a minor misdemeanor. The official spoke on condition of anonymity because he was not authorized to speak to the media.